With its golden sand beaches, laid-back atmosphere, and gorgeous natural environment, Costa Dorada makes for the best introduction to luxury camping. Contact the experts at Lux-Camp to find the ideal luxury camping site for your holiday in the Golden Coast. Costa Dorada stretches over 92 kilometres between Barcelona and Tarragona. This culturally rich area enjoys balmy weather between May and September, which makes it the ideal destination for a luxury camping holiday on and off-season. Why should I camp in Costa Dorada? Vilanova Park is a five-star campsite has won the 2015 ADAC Award for Best Camping. Located between pine forests and the sea, Vilanova Park offers the best of both worlds in exclusive surroundings and in comfortable accommodation, which is available in beautifully built bungalows that can accommodate up to 6 people. The campsite has its own spa, a fitness centre, an animal park, sports facilities, and a varied leisure programme. Tamarit Park enjoys a lovely location in one of the Costa Dorada's most picturesque beaches. This camping resort offers accommodation in fully equipped cottages and bungalows that can accommodate couples and large families. The spacious pitches are fringed by palm trees and feature a private garden. Guests can rent kayaks, go snorkelling, take seagym lessons, explore the local area by bike, or dance the night away at the campsite's club. Sanguli is a luxury campsite is conveniently located in Salou, one of the gateways to the Costa Dorada. Sanguli is an award-winning five-star camping village that offers accommodation in 2-bedroom villas, bungalows, and luxury mobile home units equipped to high standards. Facilities include an on-site restaurant, a beach club, a poolside bar, three swimming pools, a dedicated shopping area with two supermarkets, souvenir shops, and a bakery. There are entertainment programmes for adults, families, and children. Costa Dorada's natural environment features everything from wide sandy beaches to secluded coves and pine-clad hills. There are 38 Blue Flag beaches in the area, the best of which are Torredembarra, Sant Jordi, Cala Forn, Roca Plana, and Cunit. Costa Dorada produces first-class wines, like Priorat and Penedes. You can tour the local vineyards or visit the summer wine fairs and gastronomic events in Reus, Prades, and Barbera. 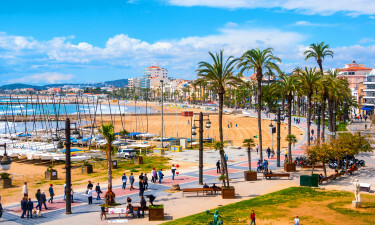 Enjoy a fun family day out at Port Aventura, Spain's most popular theme park, or explore quaint fishing villages like Cambrils, Roda de Bara, or Tamarit. 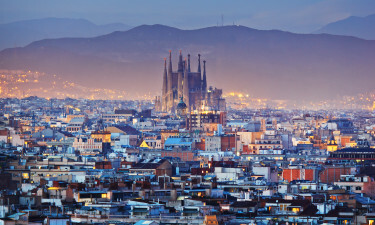 Indulge in a shopping spree at Tarragona, the region's capital city, which is also known for its exciting nightlife. Other activities include hiking in Montsant Natural Park, golfing, and horse riding.